Hamilton May presents a beautiful apartment with a large terrace on Franciszka Klimczaka street. Hamilton May is pleased to present a bright and functional property, located at Kosiarzy street in Old Wilanów. Hamilton May is pleased to present a fully furnished and equipped apartment available for rent in a quiet and peaceful neighbourhood in Wilanów. Hamilton May presents a luxurious one bedroom apartment available for rent in the very heart of Wilanów. Hamilton May has the pleasure to present a brand new, modern style apartment with a garden in Miasteczko Wilanów. Hamilton May presents an offer of a comfortable, modern two bedroom apartment for rent in Miasteczko Wilanów. Hamilton May presents a comfortable three bedroom apartment located in a discreet building in a prestigious location in Wilanów. 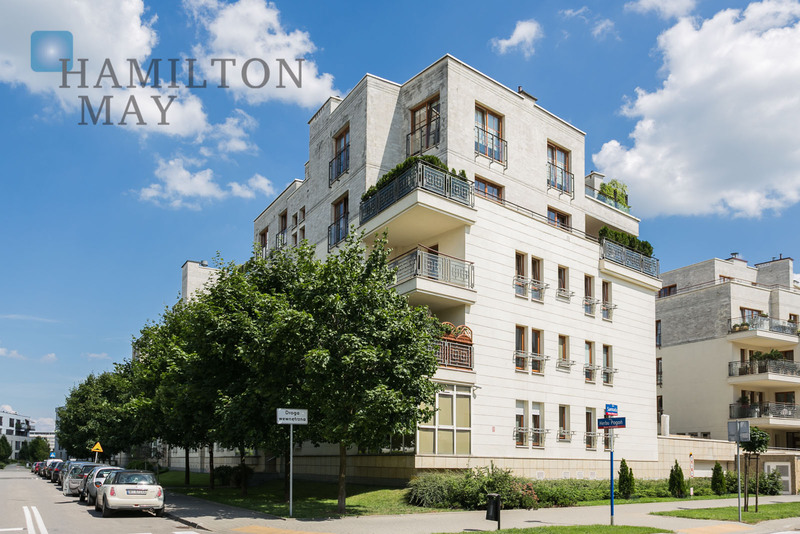 Hamilton May presents available rental offers of properties located in Wilanow district. Wilanów is a prestigious residential area located in southern part of the city, between Vistula river and Ursynów district - its south border is also border of Warsaw. Because of its rapid growth, most of the apartments available on the market are located in new developments. There are both apartments and houses available in this region. Wilanów is a prestigious area, which is also popular among expats.